On behalf of more than one-hundred home and property owners, I’d like to welcome you to our friendly, modern community. From our next-door neighbors to the larger community of Berkeley Springs and Morgan County, we value the connections we make with each other. 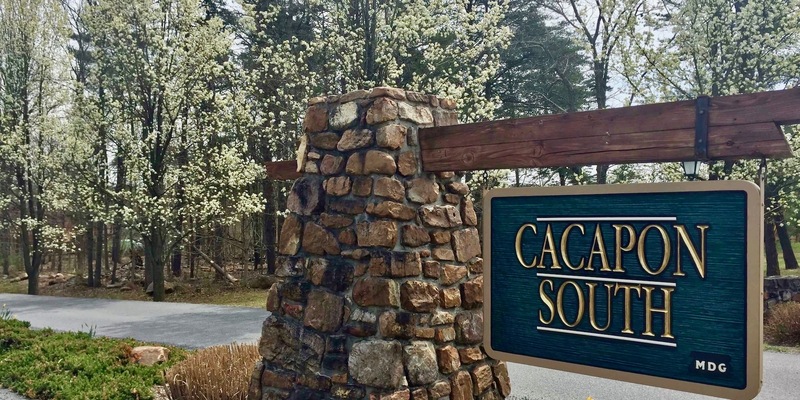 A high point of our calendar is the community picnic, held just across the street at Cacapon Resort State Park. Residents are active with numerous drives for this park, the local arts council, fire department, and volunteer groups throughout the county. Protecting the environment is important to us, as is a focus on a modern touch. That’s why we buried our utility lines and built a state-of-the-art wastewater treatment facility. Frontier DSL, Comcast cable, and satellite networks are also available to all residents. We think our community is unique in many good ways, and invite you to discover this for yourself! SITE CREDIT: Emerald Strategies, Inc.